Custom grouping is a flexible mechanism for creating groups by using custom logic. It has a higher priority than the applied GroupDescriptors (added either by code or by dragging columns to the group panel). Custom grouping is applied if user grouping is enabled through the EnableGrouping or GridViewTemplate.EnableGrouping properties. By default, grouping is enabled at all levels. You can use the GroupSummaryEvaluate event to format the group header row text of the created custom groups. 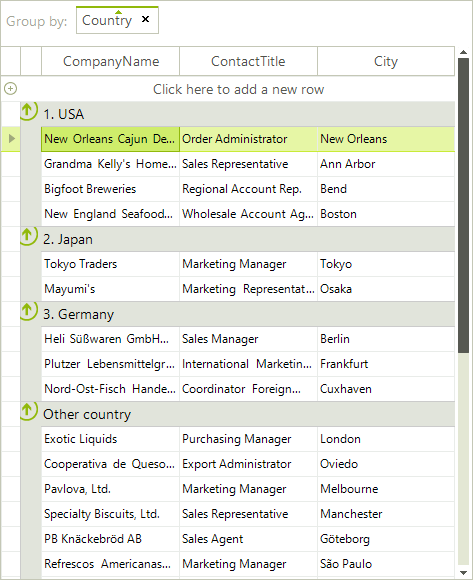 The CustomGrouping event is fired if custom grouping is enabled through the EnableCustomGrouping or GridViewTemplate.EnableCustomGrouping properties. By default, custom grouping is disabled at all levels. 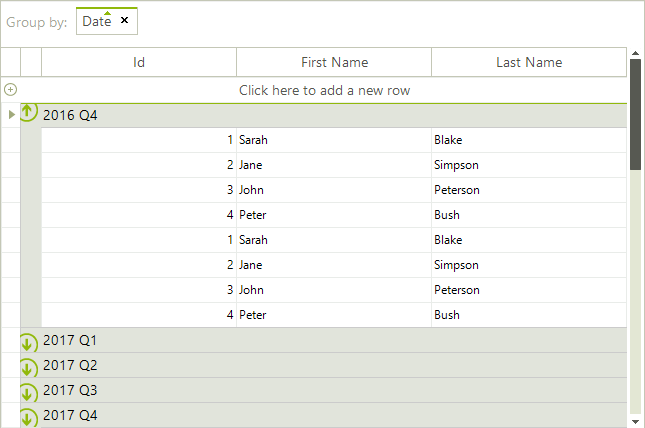 Template: The template that holds the rows that will be grouped. Row: The row which group is defined. Level: The level of the current group, represents zero-based depth of the group. GroupKey: Identifier of the group. Handled: Defines whether the row is processed by the custom algorithm or by the applied group descriptors. 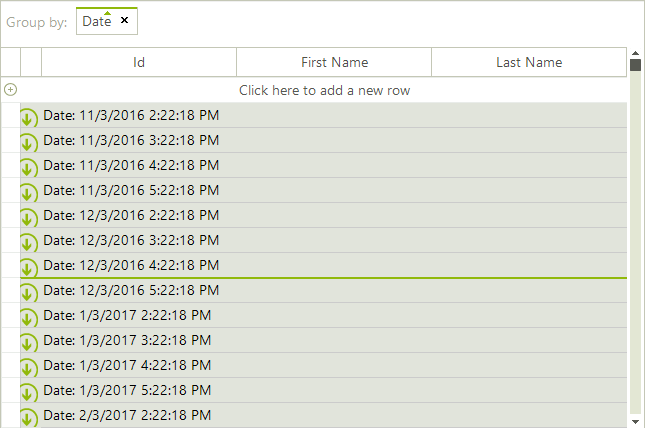 When RadGridView is displaying date columns, it is a common requirement to perform grouping by certain part of the DateTime value. The example below will handle a scenario in which the date fields are grouped in year quarters. You can replace the grouping mechanism in RadGridView with a custom one by setting the GroupPredicate of the GridViewTemplate. groupKey = "1. Sales contacts"
groupKey = "2. Marketing contacts"
groupKey = "3. 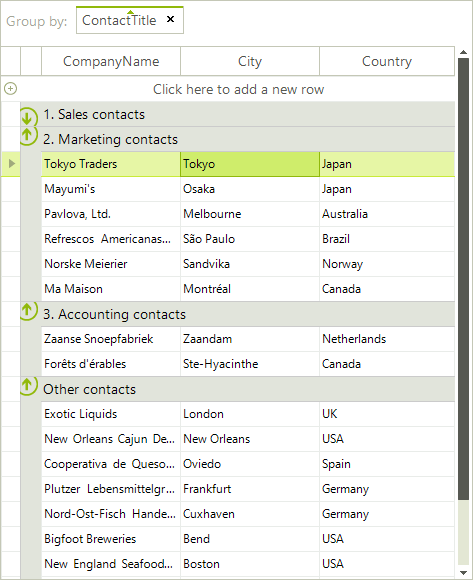 Accounting contacts"